Millennium 7 Publishing Co.: Should YOUR Business Advertise On Instagram? Should YOUR Business Advertise On Instagram? Instagram now has 800 million monthly and 500 million daily active users..
Instagram’s still growing at a rapid pace, having added 100 million new monthly active users in just a month since it last reported a new figure. It now has 800 million users engaging with the service on at least a monthly basis, the company revealed on Monday at an event in NYC, and it has 500 million using the service on a daily basis, too. Instagram announced the 700 million monthly active user milestone in April, which grew from 600 million in four months, meaning it accrued its latest growth at around the same clip. Despite the social network’s huge user population, its growth isn’t slowing down, putting it on a path to potentially catch up to parent network Facebook’s user number down the road. 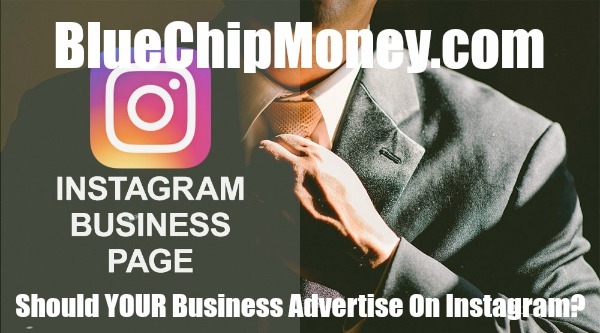 Instagram also told TechCrunch that it now has 2 million advertisers on the platform, which is up from 1 million in March. Most of that growth has come from SMB's, the company says. These stats are encouraging for anyone investing in Instagram as a platform, and for Facebook’s larger ambitions. But they’re likely discouraging to Snapchat, one of Instagram’s main rivals for user attention. Instagram’s skyrocketing growth has come as the company copied and implemented a number of Snapchat product experiences, including Stories. Guest Authored By Darrell Etherington. Darrell is a Writer at TechCrunch, focused on covering early-stage startups, especially those with a technology focus. Darrell used to work for Apple in the PR department, but he does not currently hold any Apple stock. Follow Darrell on Twitter. "Instagram’s still growing at a rapid pace, having added 100 million new monthly active users in just a month since it last reported a new figure.